I had fun this Ramadan…in terms of wheels. Normally you will see me checking out some SUV or top of the range sedan, driving down SZR with club music, windows down and smiling ear to ear. Well….i was in the same mode this Ramadan (minus the music) except that for the first time in years, I was doing this in a Nissan. Not just any big bold Nissan but the cute Micra, which is the car of choice of none other than Nancy Ajram, a fellow diva and an awesome musician from Lebanon. The all-new Nissan Micra is undoubtedly the zippy and smart compact hatchback in tune with today’s urban lifestyle. With stand-out looks, class-leading driving dynamics and an interior design offering both comfort and convenience, the Nissan Micra goes beyond the regular compact hatchback offering… I can vouch for that. Man I love the front passenger seat as it has this cool feature that makes sure my bag stays intact as I rummage through it for my phone or make up at traffic lights. 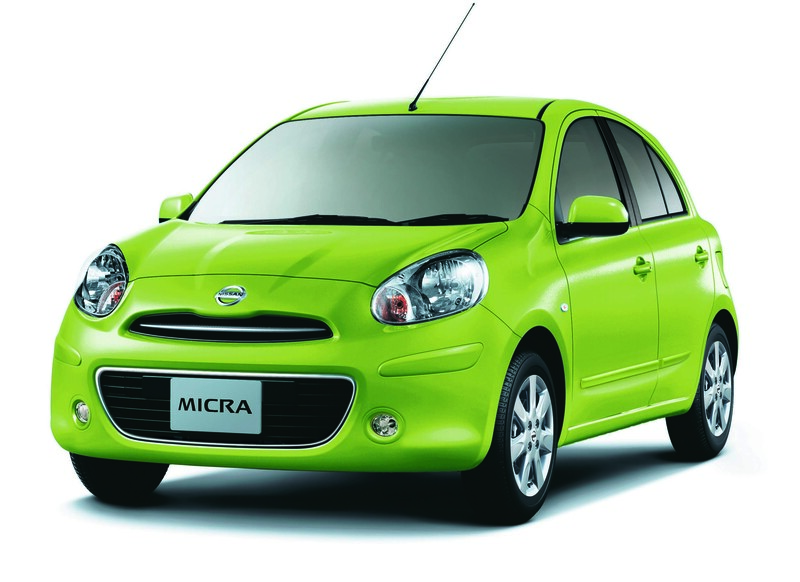 While driving it, I looked onto fellow drivers and I reckon the Micra will strike a powerful chord with the young and trendy youth of the Middle East….most the younger drivers were looking – not sure whether it was the car itself or the bright green colour. I could find the car easily in Mirdiff City centre car park as well as in Dubai Mall which can sometimes be a task. I also love how efficient it was – largest-in-class 1.5-liter engine, I did not even use half the tank in 4 days. My Fortuner just guzzles petrol and I can easily finish an entire tank in 2 days. The car had dual airbags and an Intelligent key & Push button ignition + power folding door mirrors. This was particularly good in my garage when I had to park 2 cars in one port allocated to Villa 7. With Micra, this was easy! Inside Micra was a unique ‘twin bubble’ shaped cockpit that gives a secure feeling for both driver and passengers with convenient stowage compartments and generous headroom. The arched lines and warm curved surfaces on either side of the instrumental panel create a distinctive bubble-shaped interior space that enhances driving pleasure. There was no shortage of places to safely store my music player and both phones with pockets and cup holders conveniently placed throughout the interior. User-friendly storage spaces include an instrument panel under box and glove box and despite the size, Micra had two front cup holders….one for my FIJI water and one for my Hagen Daz coffee…and the boot had 15 pairs of shoes, gym bag and beach bag space. Should I be driving something smaller from now?